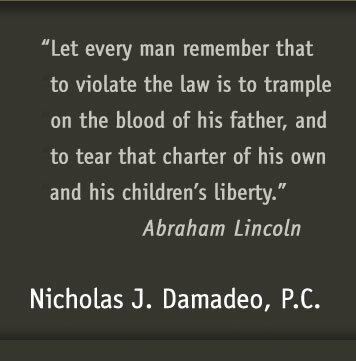 Nicholas J. Damadeo, P.C. 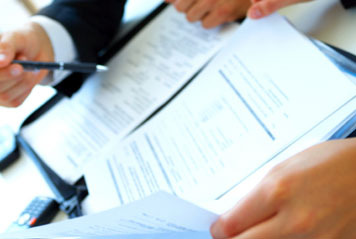 is distinguished by its highly personalized, cost-effective approach to meeting clients needs. While associates, paralegals and clerks may provide support behind the scenes, clients always work directly with our principal attorney, Nicholas J. Damadeo, and are represented by him directly in all matters. Mr. Damadeo has been a resource for businesses, organizations and individuals for more than thirty years. During that time, he has developed a reputation for being “a lawyer’s lawyer,” a perception reinforced by the number of times he has been called upon to assist other attorneys and by achieving an above average success rate. His extensive business law background has been developed and refined over three decades, during which enormous economic and market fluctuations have occurred. As a result, Mr. Damadeo is often able to recognize opportunities hidden within today’s economic strife, to help clients form new businesses, buy and sell real estate, and buy, sell or merge companies. 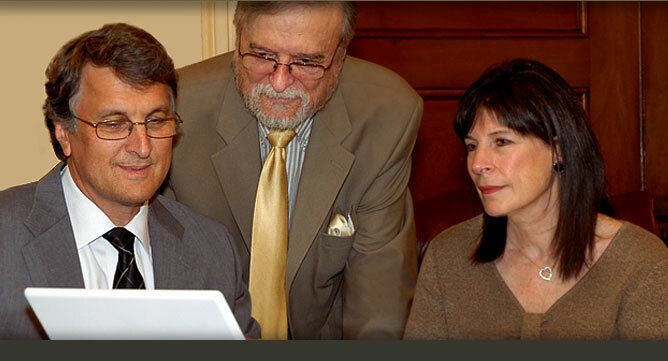 Mr. Damadeo also serves clients in the areas of estate planning, contracts, and civil litigation. Initial consultations are always free, and can be easily scheduled by calling +1 631 271-7400 or emailing helpme@damadeolaw.com.